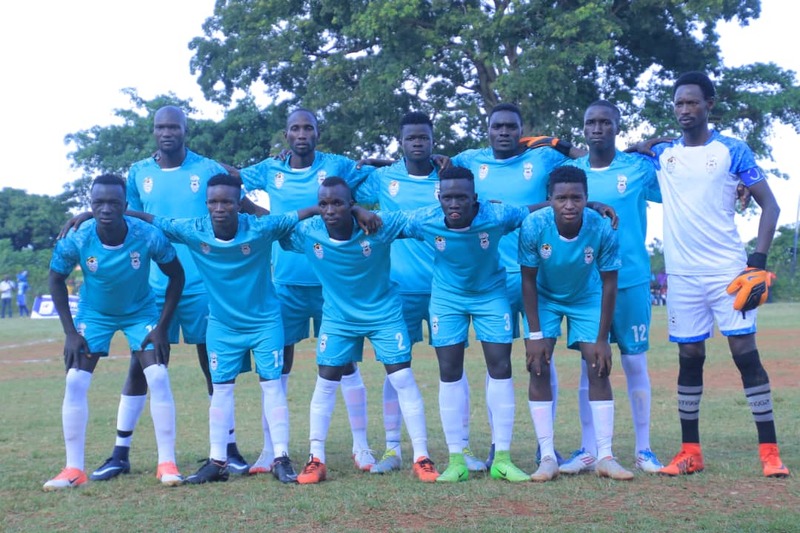 MUKONO – FUFA Drum defending champions Buganda defeated Lango 1-0 in the opening game of the 2019 edition on Saturday. In the game played at Bishops Playgrounds in Mukono, reigning MVP, Vianne Sekajugo once again grabbed the headlines, scoring the winner in the first half. Buganda started the game brightly and did not have to wait for so long to take the lead as Sekajugo who scored the last goal in the first edition opened his as the defending champions account inside 6 minutes. The Onduparaka FC forward was guilty of missing a seater, two minutes later, when he blazed over from an empty net, much to the amusement of the mamouth crowd. Lango’s first real chance of the game came on 20 minutes. Joachim Ojera crossed for Wanock Petiti but the striker’s first time effort was expertly saved by Buganda’s reserve goalkeeper Joel Mutakubya who is standing in for the suspended Nicholas Ssebwato. The game looked to have settled down and Buganda held on to take a 1-0 lead at halftime. Lango pushed hard to find an equalizer in the second half but were consistently denied by eventual man of the match, Mutakubya. Buganda’s best chance of the second half fell to Bashir Mutanda who failed to score from a rebound, just a few yards from goal, with 10 minutes to play. “We were missing some players who are outt injured but thankfully we worked as a team and won in the end. “We now have enough experience in this tournament and hopefully this win motivates us. “We got the chances to score but were unlucky in the end. “It will take sometime for the players to learn our philosophy but we are determined to give our fans the best football and reaults. “Our focus now shifts to the next game. Buganda goalkeeper Joel Mutakubya was named Man of the Match. He received a Plaque and a cash prize of 100,000/- presented to him by the Chief Guest Prince Jjunju. -BUSOGA VS TOORO @Kyabazinga Stadium, Bugembe. -KAMPALA VS RWENZORI @Betway Mutessa II Stadium, Wankulukuku. -ANKOLE VS SEBEI @Kyamate Grounds, Ntungamo. -WEST NILE VS BUNYORO @Barakoro Stadium, Zombo. -ACHOLI VS KARAMOJA @Peace Stadium, Gulu. -BUKEDI VS TESO @Booma Grounds, Butaleja. -BUGISU VS KIGEZI @Mbale Municipal Stadium, Mbale.